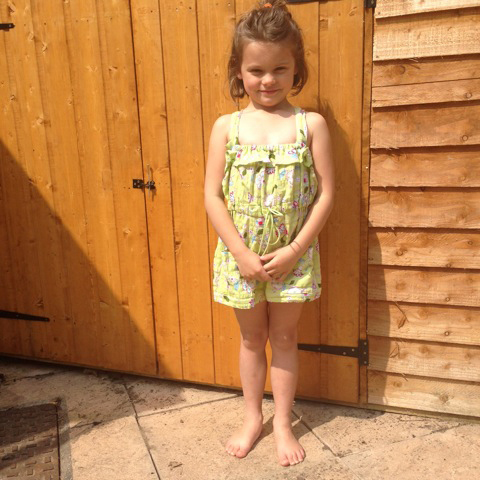 Kitcat wearing her Lime Green cotton seersucker playsuit using McCall’s pattern M6733. Kitcat is a proper little squinge so we found the straps too long, but found if we crossed them over at the back they fitted just perfect. It’s not bodging, honest.